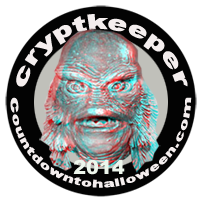 I will be participating in the Countdown to Halloween this year and I know that it is going to be a blast. I will attempt to post everyday for the month of October about...well spooky stuff of course and other fun stuff, please visit the blog daily for some great stuff. !! !oh I tend to give free stuff away from time to time so visit often so you wont miss out!! !